Asian Culture Center 1. ​Special Events 特別活動 2. Weekly Calendar 每週日曆 ​3. WHERE'S THE MAGNIFICENT CHINESE JADE PAGODA?!? New! ACA Online School! Click for a free class! This is the majority of the world, and holds such beauty and history that we want to share it with our community, and perhaps the world. Imagine the peoples and cultures that spread across these lands, the beautiful languages and empires that rose and fell and never made it into the history textbooks. Many of these still live on today in the same costumes, customs, culinary arts, and DNA of those who reside where others once left footprints. With this we offer an invitation. When people come to Las Vegas, they search for community, and associations that share their cultures. We offer a warm and welcome handshake to all who wish to come, share, and help us learn from them as they learn from us. 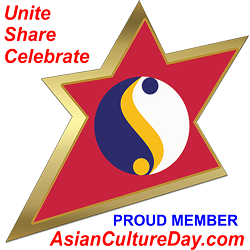 The Asian Culture Center is about community, cultural connections, and eventually shared success. Every update of this website will highlight any and all Associations, Ambassadors, and Sponsors who offer us insight in to their world and communities. Expect diverse community calendars, art exhibitions, educational opportunities, festivals, and open conversations about what is important to all; from few to all. The world is a wonderful place, but we believe it can be made more beautiful through sharing, uniting, and then moving forward together to create real change.